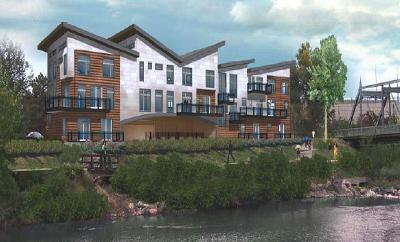 The Rapids lofts are perfectly located along the Platte River in a cast-stone and solid zinc structure. The 20' vaulted ceilings and generous balconies make these units even more spacious. Choose between two or three story floorplans with contemporary finishes. Experience fantastic downtown Denver views for romantic evenings overlooking the city's night skyline. Each loft has a private entrance, attached parking garage and range from 2,500 to 3,500 square feet. 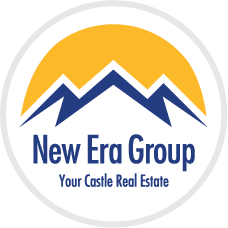 They are located in the Riverfront / Platte Valley neighborhood, right next to the green-belt, "Westside Line". Walking distance to the Platte River Greenway jogging and bike paths. Take a stroll across the pedestrian bridge to Riverfront Park, Union Station, LoDo, Coors Field and Downtown Denver. Location: 1850 North Platte St.